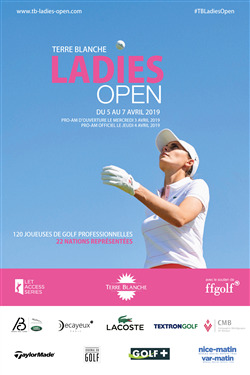 For the fourth consecutive year, Terre Blanche Hotel Spa Golf Resort ***** has partnered with the French Federation of Golf to present the Terre Blanche Ladies Open, from Friday 5th to Sunday 7th April 2019, with the Official Pro-Am on Thursday 4th April. Now one of the major tournaments on the Ladies European Tour Access Series (LETAS), Terre Blanche welcomes 120 professional players from more than 20 different countries. Offering a prize of 40,000EUR (approx. £34,870) this unique tournament at Terre Blanche will take place on the resorts GEO certified 18-hole course Le Riou, one of the most prestigious and exclusive in Europe. In preparation for the tournament, an Opening Pro-Am will take place on Wednesday 3rd April, a day before the Official Pro-Am. This is a prime opportunity for up-and-coming golfers to take on the challenging course designed by ex-Ryder Cup player and renowned Welsh architect Dave Thomas, while admiring the magnificent Provencal landscape. PRICE: 1200EUR (approx. £1,050) for a team of 3 people, or 400EUR (approx. £350) per person. The extensive sports offerings at the five-star resort also include the brand new Terre Blanche Golf Academy, which opened on 1st January 2019. The academy provides exceptional services and facilities for golfers of all ages and levels to perfect their skills, from beginners to top professionals. For those seeking training, it offers Golf Lessons from 30 minutes to half a day, including an exclusive opportunity to play with a professional. For experienced amateurs and professionals, the Academy offers training courses which range from 2-5 days, or 4-10 weeks. In addition to this, the academy offers a Golf School for the next generation (ages 7-17 years old) and from September, Baby Golf (ages 4-6 years old).